The Stage The Green Room: Should there be boundaries on what critics can discuss? The Green Room: Should there be boundaries on what critics can discuss? Gary No boundaries. All of theatre should be free from censorship. Peter As an opponent of censorship, I’d say no – but a sensitive critic will use freedom of speech with discretion. Vivian My problem isn’t with the ‘art’ or profession of criticism. My issue is with the lack of professional standards and accountability. Albert I’m assuming that by critics here we are referring to those people writing for major newspapers and publications, as opposed to the ever-increasing army of opinionated geeks flooding the internet. Jon Well, it’s however we’re defining ‘critics’I guess – or ‘censorship’ for that matter. Annie I am pretty sure commenting on an actor’s weight is not valuable to the review. Gary We use our bodies to tell stories. Critics should be free to mention them. And we should be entitled to be offended and upset. Albert I agree with Gary. If you stand up and do something, then you must be prepared for people to comment. You have to rely on their own sensibilities as to the appropriateness of their remarks. Dicky Personal critiques, such as fat shaming and that kind of thing, should be avoided. Jon Yes – for me everything’s up for discussion, but a critic should have a responsibility not to get too personal. And not all observations are equal. A middle-aged man writing about a young woman brings a lot of historical and cultural baggage with him. Albert If you put yourself in the spotlight, you should be prepared to accept brickbats as well as bouquets. Dicky For your performance, yes, but not because of your appearance. Jenny And does that brickbat have to be in the national press? We aren’t ‘celebrities’ who are celebrated for our looks and bodies and fashion sense, we’re actors trying to tell a story. Gary What we all say as adults is our responsibility, of course. But there should be no rules. No no-go areas. Peter Should a critic say someone is too old for a role? Albert If it affects the storytelling, then yes. Annie Surely they shouldn’t comment at all on the actor’s anatomy, just their character choices and their costume? Jon Nobody’s saying a reviewer can’t say “actor X is terrible”. But can they say “actor X is a great wobbly lard arse” in a role where it’s irrelevant and have us expect to take it? Gary Don’t “take it”. Respond. Dicky Our responses don’t make it into print. Gary They clearly do, if the Nicola Coughlan story is anything to go by. Albert If the response is good enough, rather than just “don’t say that,” then there’s always a way of getting it out there, and getting people to support it. Look at the responses to Quentin Letts’ criticism of Leo Wringer at the Royal Shakespeare Company. They all got out there. We shouldn’t ban, we should educate. Peter It’s a mistake for actors to respond to critics. Gary Good call. Turn the other cheek. It always sounds precious when actors respond (although they should if they feel like it). We should try to have a bit more mystique. Vivian It’s virtually impossible to have this discussion and it not look like sour grapes on behalf of the complainant. No other industry – and let’s be honest, it’s a profitable industry for some critics – is given such a free rein. Jenny There are a few critics trying to be the Katie Hopkins of theatre and it makes them look pathetic. They also know we’re easily triggered as a group so it will have an impact. Peter It’s the witty demolitions we remember. Jenny There is a bit of a trend among critics at the moment to say something controversial to be noticed. It’s starting to get right on my nelly. 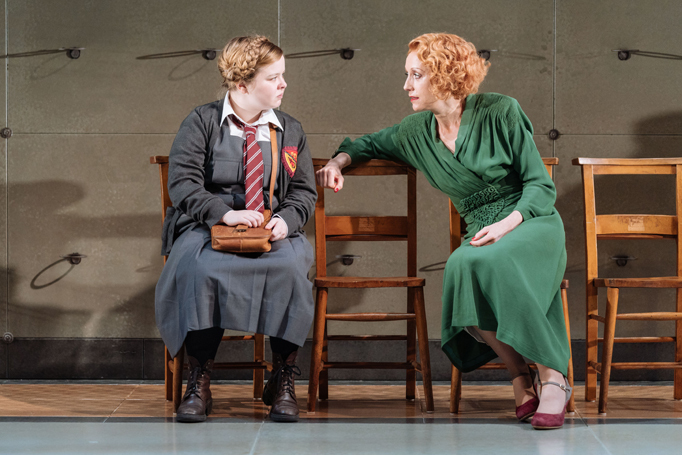 Annie A critic should use his/her reviews to highlight the play’s message and values, the director’s vision, the design and the sound, lighting and performances. Jon Are there any circumstances where it would be appropriate, say, to withhold free tickets? Not a ban, just remove a privilege. Gary That would be very petty. Jenny There are a few productions that aren’t even inviting critics in. They know the show isn’t targeted towards them and they probably won’t like it, so why bother with all the fuss? Albert Let’s remember that we all welcome the critics in the hope they will say something positive so that sales are better and we have a job for longer with bigger audiences. It’s a double-edged sword. Peter The critics can always buy a ticket. Dicky I don’t see why they get free tickets. Jon Exactly. I’m not saying ‘turn them away at the door’, I’m saying a ticket is something that it is in a theatre’s gift to provide. Peter They get free tickets because producers want the publicity. Jenny Today, when theatre people are followed by thousands on Instagram, YouTube and Twitter, there isn’t a lot a critic can do to influence things. Jon The marketing and word of mouth happens thanks to the “opinionated geeks” Albert mentioned, as much as it does with, you know, the Daily Telegraph. Gary There’s a whiff of entitlement creeping into the relationship between performers and critics. Let ’em in. Let ’em offend. Theatre is a carnival. It’s loud. It’s joyous. It’s hopefully offensive too. Live and let live. Jenny If a critic wants to call someone fat or the wrong colour then they can, but it makes them look uneducated, old-fashioned, bigoted and nasty. It says more about them (and their paper/editor), than about the actor or the play. Vivian Say what you want, but make sure it is intelligent, insightful and that it adds to conversations about art – not something that is vindictive, reactionary, hateful or downright thoughtless.